Despite spending enormous sums on technology and improvement methods, most businesses are under siege. The inability to drive adaptation to an increasingly more v olatile, u ncertain, c omplex, and a mbiguous (“VUCA”) set of circumstances has resulted in an unprecedented rate of failure across organizations of all shapes and sizes. Worse yet, the necessary component to break the cycle is being distorted by antiquated models, methods, rules, and tools held over from decades past. Industry is stuck in a rut, and that rut is getting deeper and deeper. Where does common sense turn into common nonsense in organizations? Today, companies lack an effective framework to consistently apply and integrate common sense principles at ALL levels (strategic, tactical, and operational). Reveals a new management framework rooted in science, mathematics, economics and most importantly, common sense. Enables an unprecedented level of visibility across resources, products, levels and time ranges to quickly and effectively produce the relevant information that companies are desperately seeking. 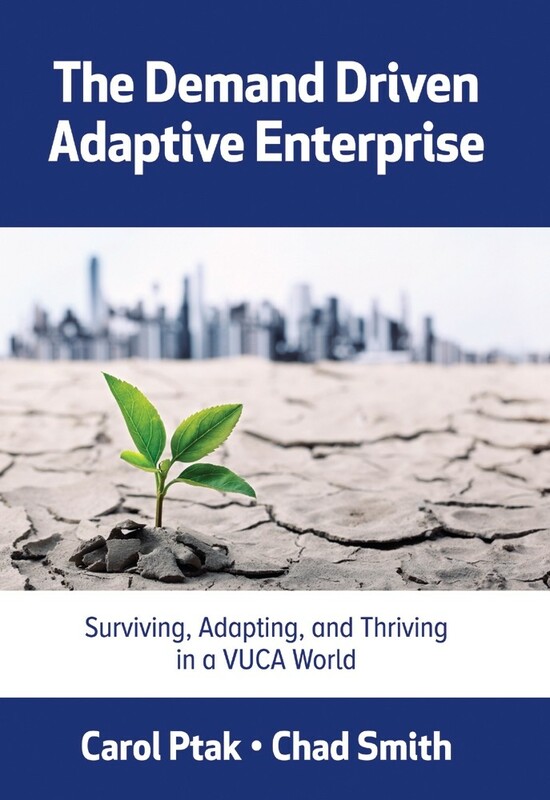 Is the pre-requisite for surviving and thriving in the VUCA world. That new framework is called the Demand Driven Adaptive Enterprise (DDAE) model. The DDAE model will not be embraced by everyone, as it challenges conventional practice and systems. Unfortunately, many of those people and organizations are living on borrowed time. So, is your organization ready for something new?? ?